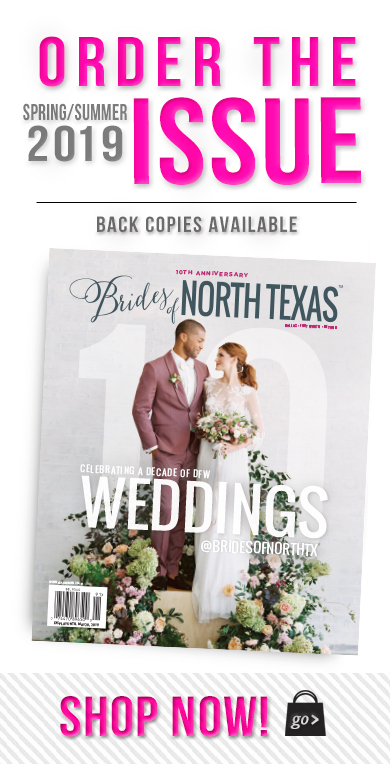 Briza and Henry fell in love with North Texas wedding venue Aristide which features gorgeous lush gardens, fountains and a stone staircase perfect for a grand entry! 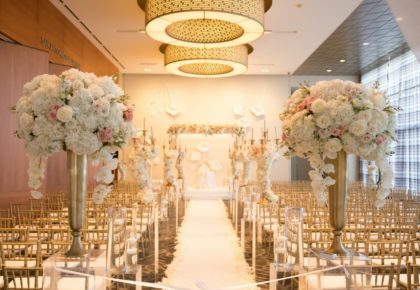 The team at Cloud Creative Events created a breathtaking outdoor ceremony and ballroom reception that fit the couple’s vision and made their wedding dreams come true. Cheers to Briza and Henry! SWEET BEGINNINGS: Briza and Henry met when they were just 17 at a friend’s house. Shortly after, Henry asked Briza to be his girlfriend. They decided to get married exactly eight years after their love story first began. THE SETTING: Briza and Henry were married at Aristide. The outdoor venue consisted of several fountains, gorgeous lush gardens, a stone staircase, fireplace and balcony. 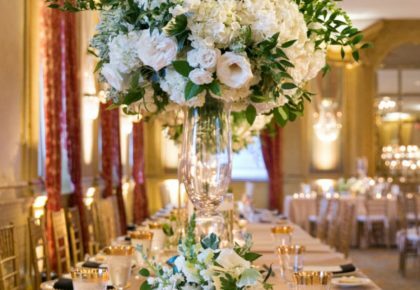 Aristide also boasts a stunning ballroom and beautiful bridal and groom’s suites complete with accent lighting and chandeliers. It was love at first sight with this venue. It reminded them of a castle, so it was the perfect place to commemorate their fairytale love story. AMAZING ALTAR: Briza and Henry’s breathtaking altar was adorned with natural red roses and orchids in shades of peach, purple and pink. Hanging lanterns cascaded down the side of the arch. Under the altar, the bride and groom stood in a heart made of pink and white rose petals. The ceremony was just as the bride had envisioned. VENDOR LOVE: Briza would recommend every single one of her vendors to other brides. Her most helpful vendor was their wedding planner, Cloud Creative Events. 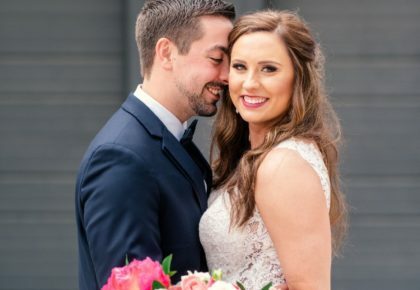 They helped make her vision come to life, and the big day was stress-free and perfect. She also loved their photographer, Alba Rose, for giving them ideas for their first look. BEST ADVICE: Hiring a wedding planner was the best choice Briza made when planning her wedding. Cloud Creative Events allowed her to enjoy the process without having to worry while knowing that her wedding would turn out exactly how she wanted.